Distribution Transformers are used for medium voltage distribution networks as a means to end user connectivity. Voltages of 33kV – 11kV, 6.6kV, 3.3kV to 415V are common. The secondary side of the transformer is almost always at the voltage required to deliver to the end consumer. Because of voltage drop limitations, it is usually not possible to deliver that secondary voltage over great distances. As a result, most distribution systems tend to involve many ‘clusters’ of loads fed from distribution transformers, and this in turn means that the thermal rating of distribution transformers doesn’t have to be very high to support the loads that they have to serve. There are two main types of distribution transformer; liquid filled (using mineral oil or replacement fluids, such as synthetic or natural esters e.g. FR3) and dry type e.g. resin. 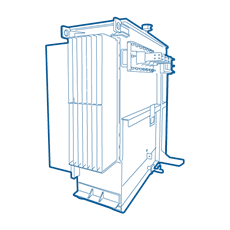 Liquid filled transformers are the most compact and cost efficient solution, whereas dry type transformers are preferred in environments where fire safety is of special importance, such as, for example, blocks of flats / high rise buildings, underground substations, mining sites, marine, and some industrial applications. Standard versions of distribution transformers are cooled passively as the heat generated by losses is transported away from the core by natural convection of the insulation medium. In the case of liquid filled products, this heat is then transported through the tank walls by thermal conduction and removed by the natural or forced convection of air. Dry transformers in closed environments usually have a forced internal convection flow of air to ensure sufficient cooling of the transformer core. The transformers we supply are designed to comply with, and satisfy the high demands of modern distribution networks, and manufactured in accordance with internationally recognised standards (BS, IEC, and ANSI) and comply with the EU Eco design directive for transformers. 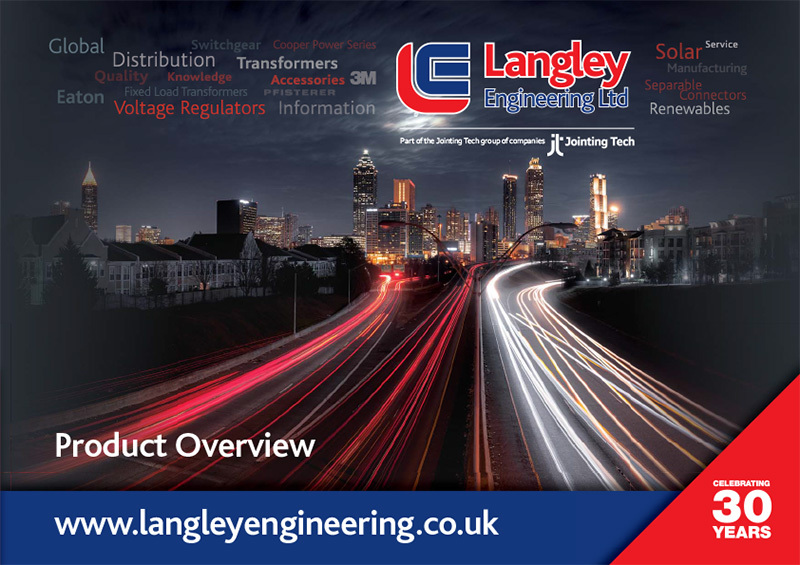 Langley Engineering Ltd have specialised staff who have worked within the transformer manufacturing and supply industry for over 40 years, plus staff who have worked within DNO’s for over 35 years, we are ideally placed to assist with your requirements.